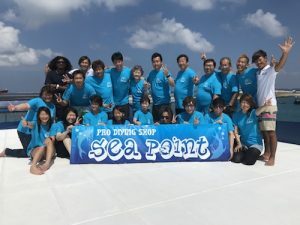 The day 5 was the last day of diving for this trip. 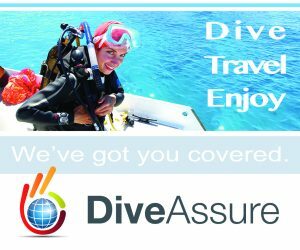 The 1st dive of the day was at Miyaru Kandu in the Vaavu atoll. 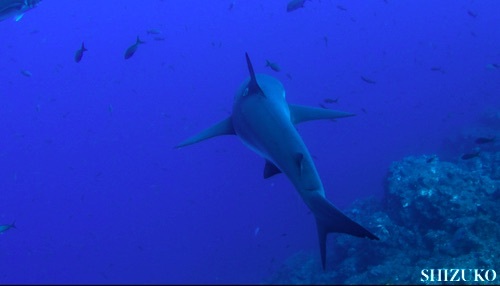 Grey Reef Sharks welcomed us at the reef. And more of them were found in the middle of the channel. 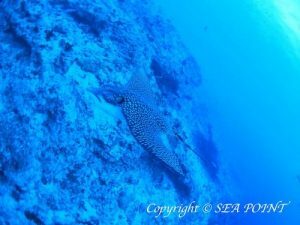 Besides, fat Dogtooth Tunas were seen right next to the Grey Reef Sharks at the channel. 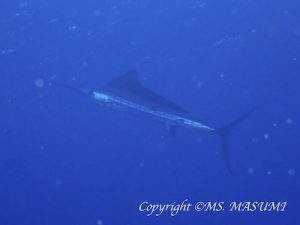 Then, a Indo-Pacific Sailfish appeared suddenly! It gorgeously passed in front of us. 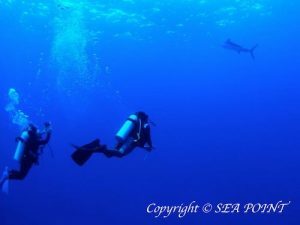 As we admired of the grace, more of the Indo-Pacific Sailfish appeared and went around!! Oh my goodness! We were so lucky to see them! 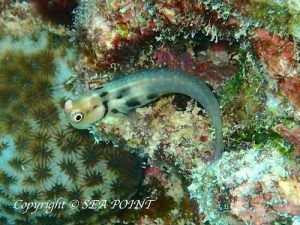 The 2nd dive was at Villivaru Gili in the South Male atoll. 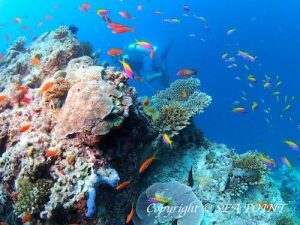 It was such a relaxed dive because there was no current at all! 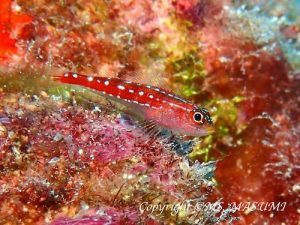 We enjoyed observing the beauty of nature with variety of Anthias and Chromises, a big school of various Butterflyfish, and the endemic ones as well. 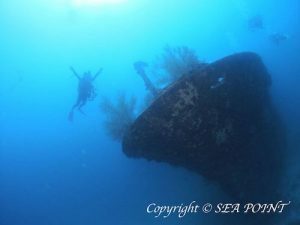 The last dive was at Kuda Giri Wreck. 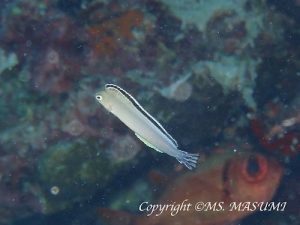 There were many Maldive Triplefins around the wreck. 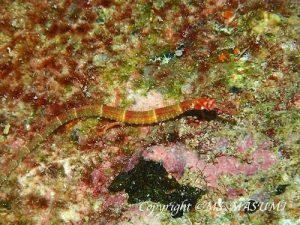 And cute looked Cheeked Pipefish were seen as well. It really have face of make up! 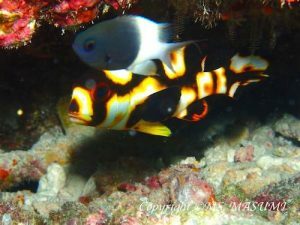 The endemic Evansi Anthias were seen around the reef at the end. It was a fun trip! 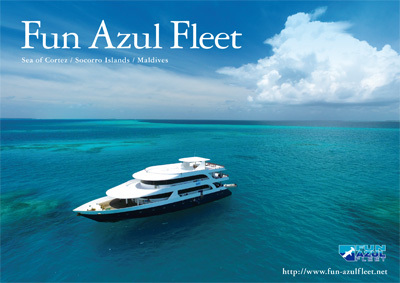 Thank you for choosing us, M/V Fun Azul IV and also for making this trip fantastic! 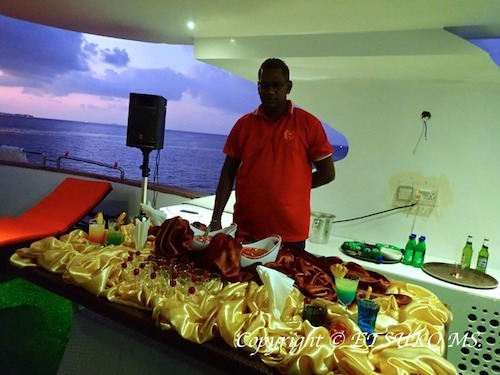 Hope we will see you again! The air temperature was 26-33 deg.C. The water temperature was 28-29 deg.C. The 3mm wetsuit was recommended.